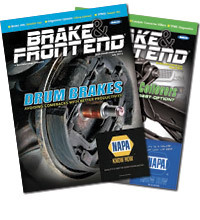 Myers Tire Supply released the new Myers VT46 TPMS Tool to the market. 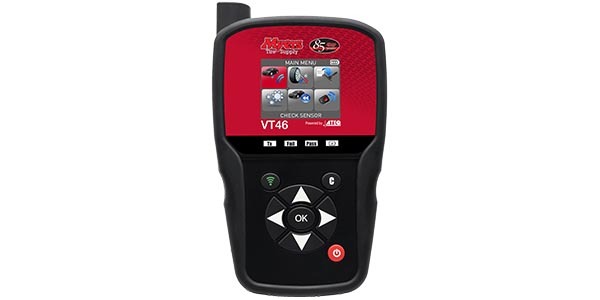 The Myers VT46 with the optional OBD2 module is a versatile and upgradeable TPMS tool for sensor activation, programming and ECU reset, providing complete tire management. The Myers VT46 reads, diagnoses and activates 100 percent of OE and aftermarket TPMS sensors. The tool supports many programmable TPMS sensors and is frequently updated with new features and up to date vehicle and sensor coverage. All sensor data is displayed on the bright color display in seconds, including the sensor ID, tire pressure, tire temperature and battery status. The Myers VT46 displays indirect, OBD, manual and auto relearn procedure information, walking the user step-by-step during the TPMS reset process. Using an optional OBD2 module, users can reset a TPMS system in less than two minutes. During routine tire services, technicians can check for tire alignment and balancing issues with the optional Tire Tread Depth Gauge; a great way to sell more tires and TPMS. Other important features include recent vehicle history, RKE test functionality to test a key fob battery life and much more. For additional information, visit Myers Tire Supply.